In the ever-expanding world of men’s wear, the style-conscious man has more to choose from than ever before. For those with exacting tastes and a discerning eye for quality, however, finding just the right piece with just the right fit and just the right details can be a challenge. So what’s a sophisticated fellow who wants to stand out from the crowd to do? The answer for a new generation of gents is, increasingly, bespoke. Not to be confused with custom or made-to-measure, the classification denotes something handmade from the ground up: a one-of-a-kind piece created to the exact specifications of a single customer. These wearable works of art are neither quickly produced nor cheaply purchased, but, as Jeremy Freed learns surveying bespoke offerings from around the world, they are truly the height of luxury. 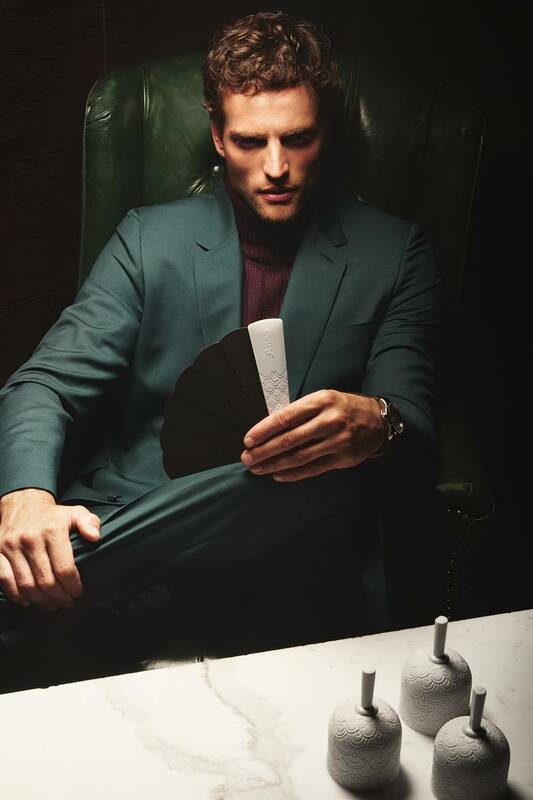 Perhaps no other garment has the potential to express confidence, power and presence like a bespoke suit. Walter Beauchamp is a Toronto tailor with more than 100 years of experience and its home at Holt Renfrew Men is a collaboration wherein modern style meets old-world craftsmanship. At the first meeting, a bespoke expert will guide you through the process of conceptualization: Are you a finance executive or a creative professional? Is this to be worn at the office or out on the town? Are you an adventurous dandy or a classic gent? The styling options are endless, from the length of the jacket and the width of the armholes to secret pockets, surgeon’s cuffs and flamboyant silk linings. While the fit and style of a bespoke suit are superior, it’s the experience and careful attention to detail that make it stand out as a true luxury item. As the crafting of your suit progresses, you’ll return for several more consultations and fittings, and finally, between five and nine weeks later and some 50 hours of work, the process will be complete. You, however, will already be thinking about your next order. From $2,350 at Holt Renfrew Men (www.holtrenfrew.com). Brunello Cucinelli jacket, $2,995 at Harry Rosen (www.harryrosen.com). In remote northern Sweden, a short distance from the Arctic Circle, sits the world’s last remaining spruce bark tannery. While the process by which Böle creates its exquisite leather goods is more labour intensive than modern methods (it can take up to 12 months to tan a single hide), the results are pieces of supreme beauty and functionality designed to outlast their owners. 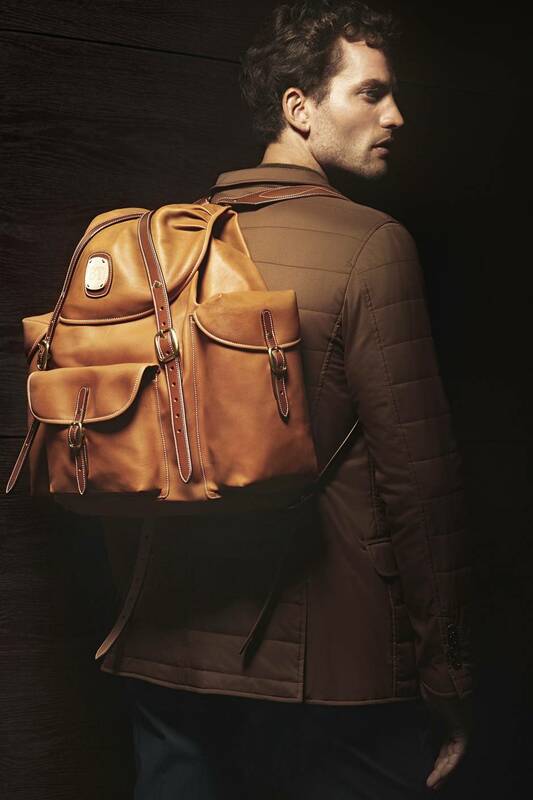 While the 115-year-old company produces a ready-made line of spectacular briefcases, bags and rucksacks, they particularly pride themselves on their singular bespoke items, from sword sheaths to steamer trunks (Böle’s philosophy is that with enough time anything can be made from good leather). A lengthy discussion with Böle’s master saddle maker culminates with a design sketched and materials chosen from a library that includes Nordic reindeer hide, Swedish cattle leather, Italian and English brass hardware, and birch and alder wood structural elements. They won’t use zippers or fabric – zippers break, fabric wears out – but pretty much anything else is on the table. Böle produces approximately five bespoke pieces a year, and each one can take up to 12 months to complete, but the finished product proves, beyond a doubt, that good things do indeed come to those who wait. From 2,000 through www.boletannery.com. Calvin Klein sports jacket, $1,275, sweater, $750 through www.ssense.com. 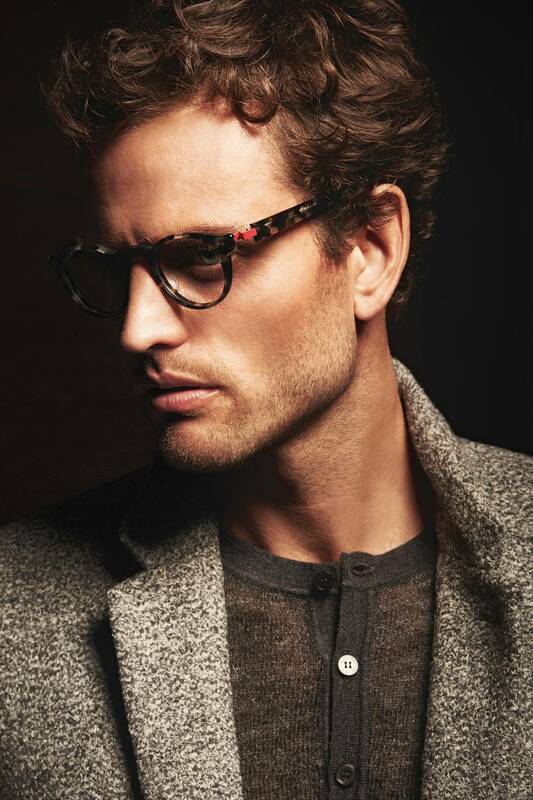 There is perhaps no accessory more personal than a pair of eyeglasses. This is one reason that the creations of Naoki Nakagawa are so special. When he realized that the pair of glasses he was seeking didn’t exist anywhere, Nakagawa (or Nacky, for short) set out to create them, apprenticing for eight years at every level of optometric production and launching his eyewear brand Nackymade in Kobe, Japan, in 2004. Now, not only does he have the means to realize his own vision of perfect eyewear, he can do the same for his customers as well. From classic silhouettes in unusual materials like antique wood and metal to arms resembling dinosaurs, Nakagawa’s commissions speak to both the designer’s creativity and lengths he’ll go to satisfy his customers. The process requires at least two consultations (either at Nakagawa’s shop or on his frequent visits to see clients abroad): one for taking measurements and sketching a design, and a second to try on a prototype for final fit and approval. Nackymade frames are created entirely by hand, a process that takes anywhere from three to six months, and the specs are guaranteed to be a finely crafted extension of your personality. From $900 (U.S.) through www.nackymade.com. Coat, $10,415 at Hermès (www.hermes.com). HUGO sweater, $195, pants, $215 at Hugo Boss (www.hugoboss.com). Paul Smith shirt, $285 at Holt Renfrew (www.holtrenfrew.com). For something we walk around in all day, most of us don’t give much thought to what goes into making a pair of shoes. Toronto-based Peter Feeney, however, is an exception. After leaving a career in advertising, Feeney struck out for Florence, Italy, where he spent four years studying and apprenticing as a cordwainer. Not to be confused with a cobbler, who fixes shoes, Feeney turns leather, rubber and thread into some of the most beautiful footwear you’ve ever seen. For Feeney, off-the-rack isn’t an option, and each pair of brogues and wingtips he creates is unique to the customer who buys it. From chocolate suede chukka boots with complicated Norwegian stitching to the shoes that Jared Leto will wear as The Joker in the upcoming Suicide Squad movie, the only limit to what Feeney can produce is your imagination. To begin, each customer’s foot is measured and a custom last (or mould of the foot) is made. The whole process takes six to eight months and requires at least two fittings to make sure the shoe is exactly right. Customers, Feeney warns, are often unprepared for the consequences of their purchase: Bespoke footwear is so superior in construction and fit that you may never want to wear anything else again. From $1,500 at Peter Feeney (www.peterfeeney.ca). Paul Smith suit, $1,595 at Holt Renfrew (www.holtrenfrew.com). HUGO turtleneck, $275 at Hugo Boss (www.hugoboss.com). De Ville House Vision watch, $7,150 through www.omegawatches.com. What good is a signature fragrance if you’re not the only one who wears it? This is the question asked (and answered) by Guerlain, the French perfume house founded in 1828 and still producing some of the world’s finest scents. Among the most exclusive bespoke programs in the world, Sur-Mesure provides the rare experience of collaborating with Guerlain’s master perfumers to create a fragrance completely unique to you. The journey begins in Paris at the Maison de Guerlain on the Champs-Elysées in the company of Sylvaine Delacourte, the brand’s director of fragrance evaluation and development. In Delacourte’s plush office you’ll spend a few hours discussing your tastes (not only aromas, but sensations, textures, even memories) and sampling selected essences. Delacourte will then take your profile to Guerlain’s master perfumer, Thierry Wasser, with whom she will collaborate to mix your perfect scent. The process can take up to a full year, during which time your discussion with Delacourte continues through several prototypes. The result is suitably luxurious and befitting its cost: two litres of perfume housed in three sizes of Baccarat crystal bottles, never to be replicated except, of course, when you need to order more. $56,800 through Guerlain (www.guerlain.com). Watch Peter Feeney fashion a pair of bespoke dress shoes by downloading the free Globe Style Advisor app at tgam.ca/styleadvisor.